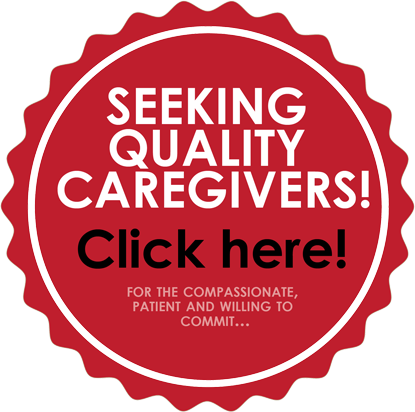 Why Hire an Aging Life Care Manager™? Home Care Solutions is always seeking qualified, caring, experienced CNAs, Sitter/Companions, and Home Health Aids to join our team! With the many advances in today’s medicine, people are now enjoying life longer than ever before. But no one ever said getting older is easy. Since living longer doesn’t necessarily mean living independently, families face challenges in addressing the needs of elderly loved ones. Most elderly adults want to remain in their home and stay as independent as possible. There are positive emotional benefits to remaining in one’s familiar surroundings. In addition, adapting to health and lifestyle changes is often less stressful in the comforts of home. That is why Home Care Solutions was created — to offer better solutions to keeping loved ones safe and comfortable in their home environment, while giving the family peace of mind. Providing better solutions for aging well since 1991, Home Care Solutions is a company of licensed social workers and nurses providing comprehensive, specialized services for older adults and those responsible for their care. We offer non-medical sitter/companion services with expertise in Alzheimer’s Home Care and Aging Life Care Management. Along with extensive experience in elder care and Alzheimer’s disease, our director is a nationally recognized professional with the credentials and expertise to ensure the highest quality care, ethical standards and professionalism. With a profound understanding of the resources sorely needed by these clients and their families, they established Home Care Solutions to provide a dependable support system of information, assistance and dignified care. Home Care Solutions in-home care offers services in Orleans and Jefferson Parishes. Home Care Solutions provides personalized, client-centered service to each individual with dedication to excellence in care and quality service. As providers of Aging Life Care Management and Home Care services, we are committed to maximizing the independence and autonomy of frail elders while providing the highest quality of consultation and services. Through education, advocacy, counseling and the delivery of the highest level of services, we assist older persons and their families in coping with the challenges of aging. It is our goal to preserve and protect the independence and dignity of our clients. What can an Aging Life Care Manager offer? Join our list for interesting news & updates. Thank you for choosing Home Care Solutions.